I’d read about the Rituals hand cream in a magazine and in the review it said that, besides being a good cream, it also had a fabulous smell. 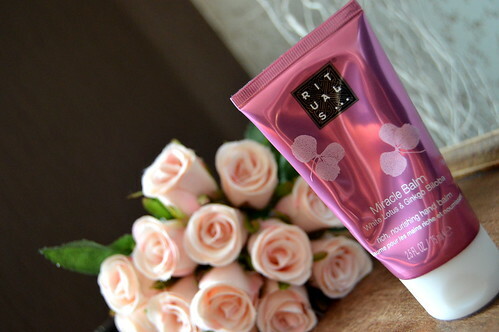 So during my next stop at Rituals, I smelled this hand cream and I totally had to agree… this cream smells so soft, so good, so fresh! I decided to buy it there and then! 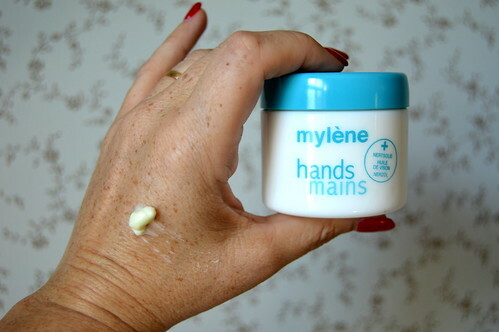 Another favorite is the Mylène hand cream. 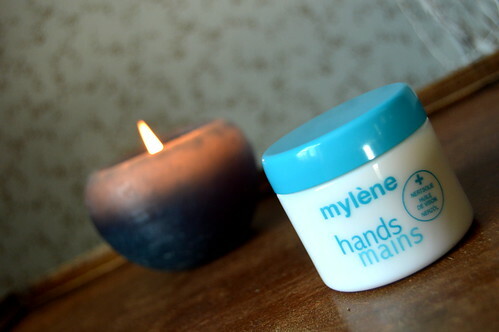 Mylène has several hand creams in its collection, but this one is my favorite because it is so nourishing. It has been on my night table for several years now and I’ve made a habit out of it to smear a generous dollop on my hands before going to bed! Both handcreams (esp the Rituals one) are greasy, but that is exactly how I like them! I have used hand creams that are less greasy, but I prefer these heavier creams. I really can recommend both creams, but I’ve got a slight preference for the Rituals cream, just because of the smell! 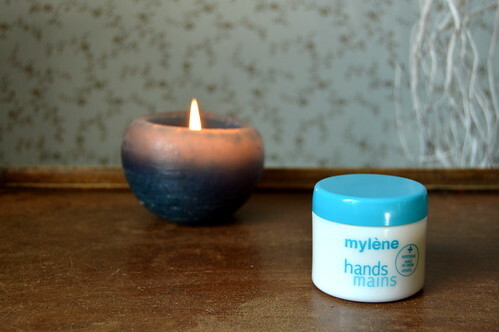 Here you can read a review of the Mylène mink oil! Ik hou ook van de meer vettige handcrème en smeer mijn handen altijd in voor ik in bed kruip zodat hij de hele nacht kan inwerken.